Critics Choice Guild Awards Was A Grand Affair! Home BOLLYWOOD Critics Choice Guild Awards Was A Grand Affair! The Film Critics Guild and Motion Content Group presented the Critics Choice Guild Awards which took place on 15th December in Mumbai. The awards ceremony was graced by the talented folks from the entertainment industry. Sohum Shah, Vikramaditya Motwane, Rasika Dugal, Manoj Bajpai, Aahana Kumra, Shibani Dandekar, Pankaj Tripathi, Sriram Raghavan, Kunal Kapoor, Gulshan Deviah, Shriya Pilgaonkar, Sohum Shah, Maneesh Sharma, Naveen Kasturia, Amole Gupte, Deepa, Bhatia, Sharat Katariya and others made the gala event a star-studded one. Aahana went on to greet Gulshan at the red carpet, while other celebs gave their bytes to the media present there. Living up to its credit, Critics Choice Awards rewarded the talented members of the film industry. 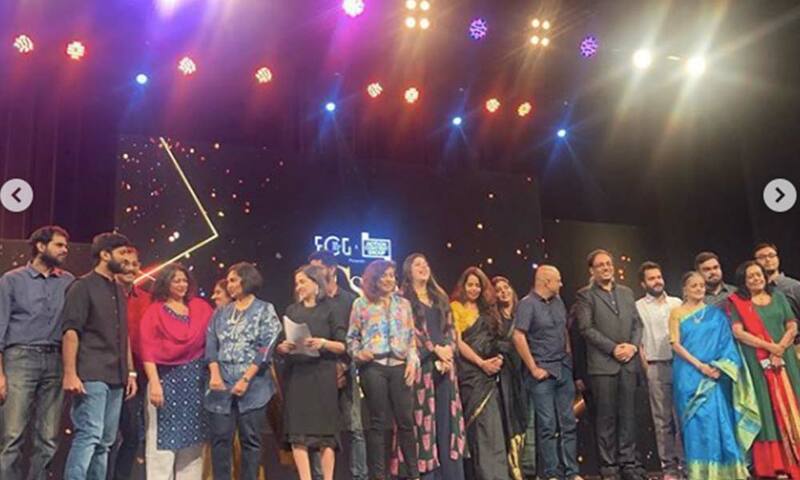 Aiming to recognize and appreciate the inventiveness and creativity of short story tellers across the country, the Critics Choice Short Film Awards is a first-ever collaborative effort of India’s most credible critics body, the Film Critics Guild and Motion Content Group, WPP’s global content investment, and rights management company. Previous articleFilmmaker SS Rajamouli Is Keen To Watch Excel Entertainment’s KGF!